The Welsh Government have announced the rates and bands for LTT which will apply to land transactions involving Welsh land from 1 April 2018. LTT will be the first tax introduced by a Welsh Government in almost 800 years. Much has been made by the Welsh Government that the new rates will help first time buyers. 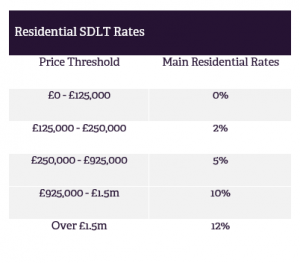 Welsh LTT becomes more expensive than SDLT on properties of £400,000 and above. By increasing the LTT threshold to £150,000 Welsh Government believe that the average first time buyer in Wales will pay no LTT and save £280 in tax when buying at the average first time buyer price of £139,000 in 2018/19. 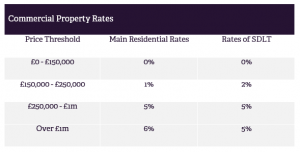 Purchasers of an additional residential property and any purchase by a company (and other non-natural persons) will be subject to an additional rate of LTT of 3%, which is in line with the current rates of SDLT. 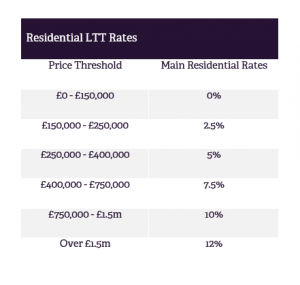 The differences between the rates of LTT and SLT for commercial property are starker. How will this affect CASA USERS? This will have repercussions both at the estimate stage, the submission stage and the financial statement. We plan to have the estimates distinguishing between LTT and SDLT by the implementation date of 1st April 2018, however some manual intervention may be required where properties straddle the border between England and Wales. However, at this moment in time we have received no details of whether the Welsh Government will have available to us the same service as that provided by HMRC where submissions are made automatically through our software. We are aware that the Welsh Government are providing a website for submissions however this will mean rekeying in information already entered. We have made representations to the relevant department for the last 9 months and we still do not know what the intentions are. We would only comment that the work involved with the original SDLT eSubmissions took over one year to complete – there are just 4 working months left.